Ms. McLaughlin proceeds to give us thirteen unusual and unexpected places to find fulfillment, such as a place of grace, wherein she gives us practical advice: to get the proper amount of rest; eat nutritous meals; slow down. Equally important, she offers spiritual advice: spend time with God–in prayer, in His word, in quiet times. In this time, He will restore your soul and you will have true fulfillment. Other areas that Ms. McLaughlin states we can find fulfillment are through solitude; through God’s extravagant love; through honoring one another; blessing one another and many more. At the end of each chapter, Ms. McLaughlin includes a section titled “S.T.O.P. and Ask God to Fulfill Your Soul.” The letter ‘S’ is for Scripture; ‘T’ for Thanksgiving; ‘O’ is for Observation; and ‘P’ for Prayer. These sections are an excellent way to close each chapter. I’ve always heard it said that “a book is judged by its cover.” That is the only criticism I have for Restless for More. Although the cover conveys the message of a woman being in a hurry, I don’t think it is a true representation of the title. The cover is not appealing and looks incomplete. I was given a free copy of this book for my honest review. I was not influenced by anyone’s opinion nor does this review reflect the opinion of the publisher. 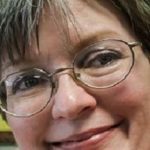 Susan K. Stewart is a member of WordGirls and has written a great article on the fact that God is always interested in the smallest details of our life. gather to pray prior to these events. Around the table we prayed, “Bless this convention” and “Thank you for letting us be involved.” One person surprised us with her petition, “God, please take care of the paper clips.” Her prayer acknowledged God’s interest in every detail of our lives, right down to the paperclips. “Be still, and know that I am God” (Ps. 46:10) is a familiar Bible verse. We often emphasize the “be still,” forgetting who is God. We were certainly being still during that time of prayer; but only one person was remembering God’s desire to be involved in the details. How interested is the Creator of the universe in the details of our lives? Well, how interested are you in your children’s lives? God has an even greater interest in you and every area of your life. Have you ever believed that God wants you to do something but you didn’t know how to do it? Or, maybe you feared failure? Often we end up “being still.” We fuss (pray? ), worry (stress? ), and sit still, doing nothing. To break free from this trap, we need to learn to turn over the paperclips to God. First, be sure that what you are doing is what God wants you to do. I get lots of great ideas. I can think of many good things I could be doing. When I see the commercials on TV about the hurting children in other countries; I want to do something. I hear about abused women; I want to act. The pastor calls for a Sunday School teacher; I want to raise my hand. I finally learned that a need is not necessarily a call. Are you trying to do something that is someone else’s job, someone else’s call? Have you lost your focus on what God wants you to do? If you are lacking joy in what you are doing, maybe you’re doing someone else’s assignment and leaving God out of the details. Second, ponder why you are doing what you are doing. Often we carry on a project out of tradition or habit or because we think that no one else will do it. This applies to every activity you are involved in. Are you motivated by a sense of obligation or guilt or because you believe God is directing you? In North America, we don’t have to depend on God to take care of much. Unlike people in a third-world nation, we usually know where our next meal is coming from, what we will clothe our children with, and where we will live. We have become so self-sufficient we don’t think we should bother God with little things like paperclips. God has all the details worked out–in advance–from eternity (that’s huge). It doesn’t matter whether you’re trying to get enough nursery workers or visiting a sick friend or preparing a dinner for in-laws. The final and most necessary step is to pray. Talk with God about the task ahead of you. You can’t know how to do something unless you chat with the planner. How often we stumble around, fret and worry, and lose our joy because we haven’t asked the architect of the universe for the blueprint for our little jobs. When we submit to God’s plans, allowing him to work the details, we don’t sweat the small stuff. More importantly, God is honored. And that is our ultimate purpose. I am so pleased to introduce to you another WordGirl member, Dr. Linda Coburn. One of the sentences in this article resonated with me – “Adults need more time to play.” How true! Enjoy Linda’s article and be sure to check out her website – link is at the bottom of the page. It was one of those rare moments, a spontaneous celebration erupting out of nowhere. The adult students in my Communications II class were learning the rhetorical strategies of pathos, ethos, and logos by presenting short skits. The last skit provoked a lot of noise, with one student bursting into the classroom waving a loaded eraser while the student portraying Pathos cowered under a desk crying. So loud had been her screams that several male students and the dean showed up at our doorway. To “get back at me” for the disruption my class had caused, the professor of Music Empowerment chose to bring her students out to the hallway to sing “I’m Every Woman.” I led my class out to join in. There we were, forty students and two professors, dancing and singing during class hours. I watched the faces of my students: they were joyous, elated to be engaging in a few moments of revelry, casting off their cares of being adult students with jobs, families, and financial woes. Adults need the opportunity to play. In 2016, studies report that 30% of adults are working at multiple jobs. With the responsibility of children still living at home and elder parents needing care, the adult of 21st century America is stressed, tired, and on the verge of emotional collapse. Some adults have also returned to school for greater employment opportunities following job loss. College programs designed for adult students are different than traditional programs. Most adults who return to school are only on campus for class and library use. It is no wonder that adult students feel isolated. This sense of isolation is a reason only one out of four adult college students finish a degree. Reasons students drop out range from financial to family concerns, but high on the list is emotional overload. Continuing education should bring with it joy in acquiring new knowledge and self-satisfaction in reaching a goal, but the opposite is often true. The overwhelming work required of higher education squeezes out the little leisure time left over from other responsibilities. Adults who do manage to finish their degrees report that they feel elated when the process is over. But there’s nothing wrong with a little elation along the way. We should all occasionally dance in the hallway.